My heart skips a beat thinking about Chicago’s Pizza. 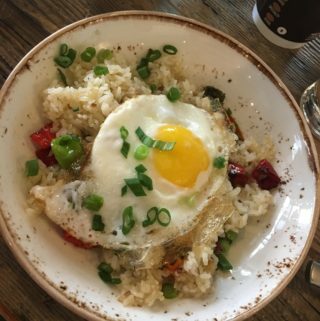 Seriously, this place is a refuge for the gluten-free Chicago population. 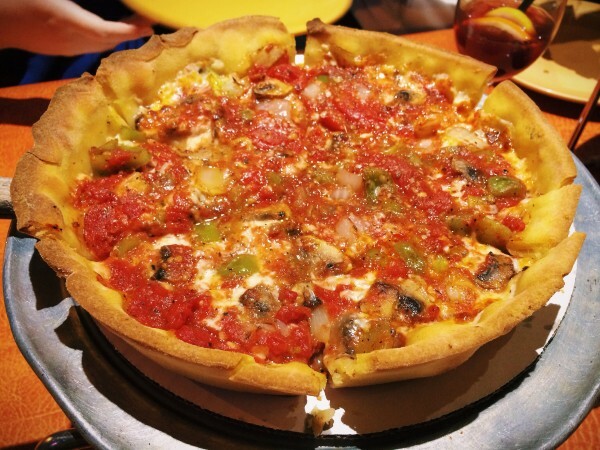 In a town filled with deep dish pizza, a gluten-free gal tends to get a little jealous. I mean, when folks are chowing down on deep dish at Pequod’s…or Lou Malnati’s…or Giordano’s…jealousy is inevitable. Even Lou Malnati’s gluten-free thin crust option just can’t satisfy that deep-seated desire for deep dish. 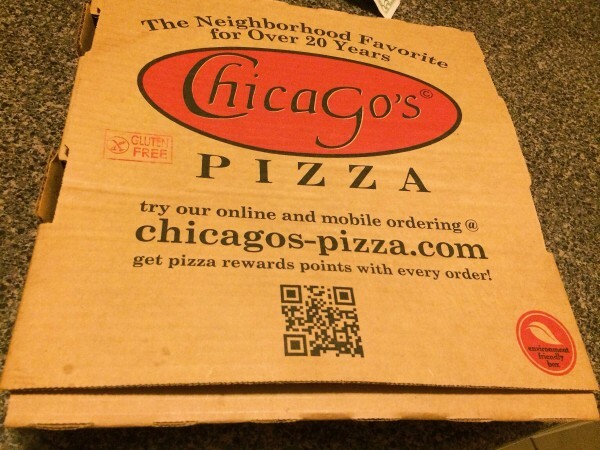 Enter Chicago’s Pizza. This place is LEGIT. Though they have a few different locations across the city, one of their locations is walking distance from my house, which is dangerous. Because they have some seriously amazing gluten-free deep dish pizza, among a host of other gluten-free options. Nearly everywhere you turn on their menu, it’s marked with a GF to indicate that it can be prepared gluten-free. Gluten-free garlic bread. Cheesy Garlic Bread. Pizza Bread. Check, check, check. GLUTEN-FREE DEEP-DISH PIZZA. OMG CHECK. While they can’t guarantee 100% that everything is gluten-free, as they do handle wheat flour in their kitchens, they confirmed that they do prepare their gluten-free items in dedicated equipment and cook them separately to avoid cross-contamination. So here’s the scoop. They offer table service, pick-up and delivery. The atmosphere isn’t fantastic if you eat in, but it’s obviously the freshest pizza you’ll get vs. delivery. I usually do takeout or delivery…oh, and they’re open until 5 am so you basically are set for any late night cravings, too. 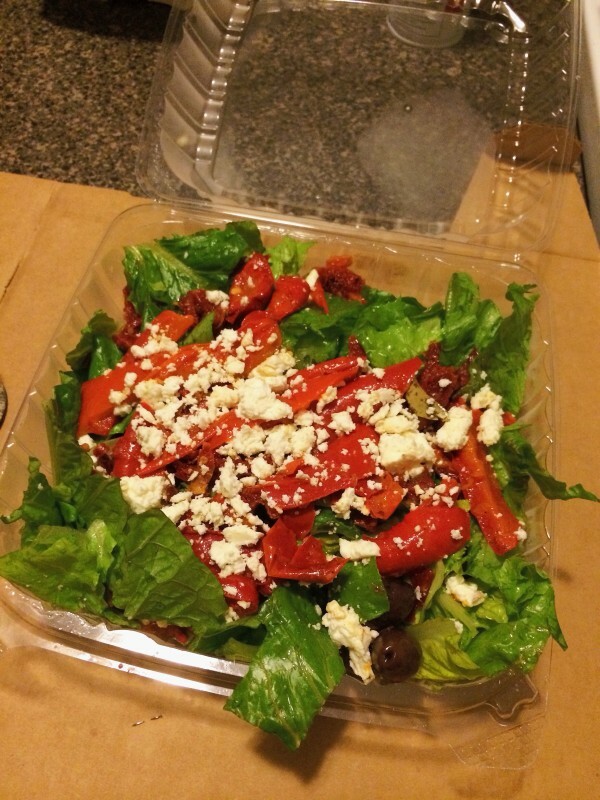 I’m a huge fan of their Greek Salad – it’s super fresh and flavorful. The house salad is pretty average, but the price is right. 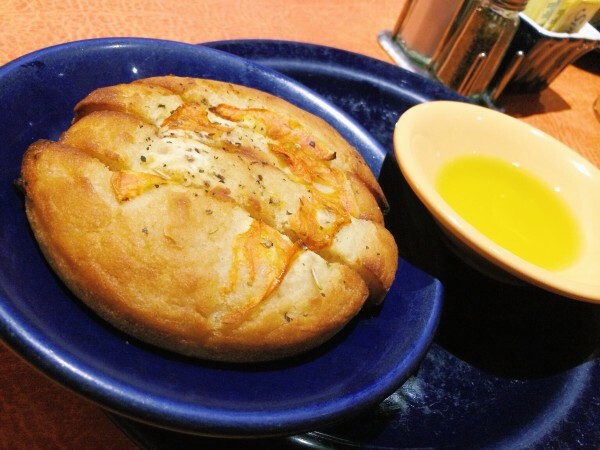 The focaccia. Get it. I’m mean if you’re at a pizza place, you’re already carbing hard, so you might as well. Dip that bad boy in some olive oil and parm and fresh cracked black pepper and you’ll be in hog heaven. I haven’t gotten any of their cheesy breads, but I imagine they are delicious. I’ve tried the stuffed pizza, the deep dish pizza, and the calzone. On my list next is their regular pizza and their thin crust pizza. 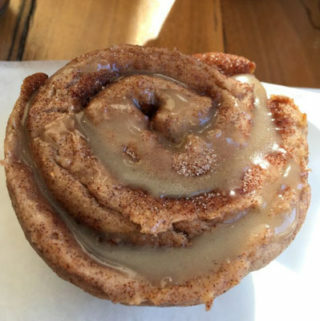 They make their gluten-free dough from scratch, from a blend of chickpea rice and sorghum flours, butter, and xanthan gum. The stuffed pizza –– I went in thinking this was going to be stuffed crust pizza, but I was mistaken. This is actually a pizza crust, with all the ingredients, then another layer of crust on top, then sauce and parm… Like a pie. It’s good. It’s not my favorite, but it’s good. The deep dish, my friends, is what’s up. I’ve tried both the Chicago Supreme (pepperoni, mushrooms, green peppers and onions) and the Chicago Special (Italian Sausage, mushrooms, green peppers and onions). 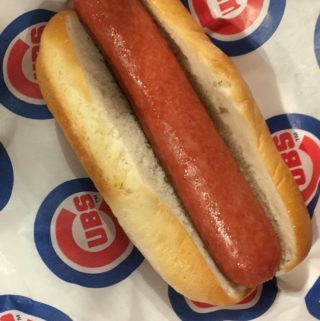 There’s something about the Italian Sausage in the Chicago Special that just really does it for me. Then there’s the baked calzone. I was super confused about why my calzone + small side salad + tip delivery order was nearly 25 bucks. 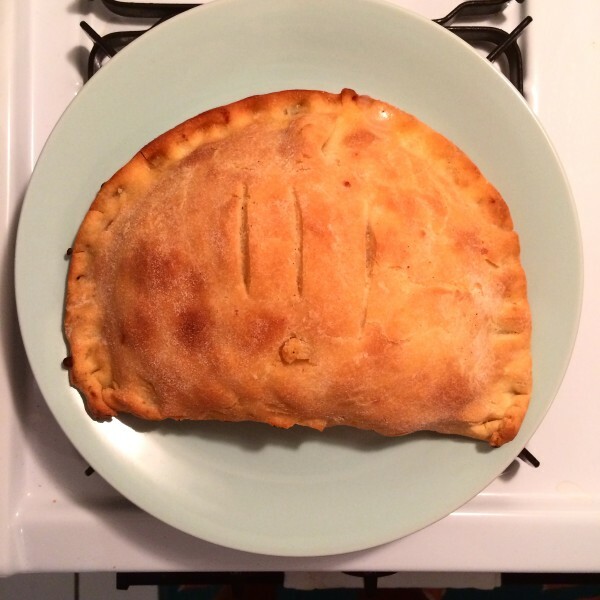 Until I opened up the calzone and realized this thing weighed about 3 pounds and could easily feed four people. 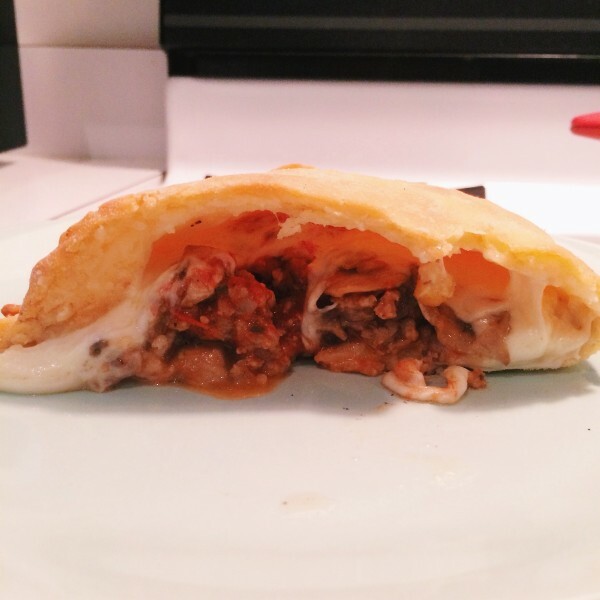 I’m not a calzone expert, but I thought this thing was pretty freaking good. I got Italian Sausage and Mushrooms and highly recommend that combo. Chicago’s Pizza is pricey with the GF upcharge, but totally worth it. And considering that Chicago’s Pizza is one of the few (if not only) pizza places in Chicago offering such extensive gluten-free options including gluten-free deep dish, this place is overall pretty awesome. Tha k you so much! Sitting here doing some heavy googling and nothing was coming up until I saw your post. good to hear there’s a GF deep dish here! Hi Ryan – Definitely, happy to help. I learned this weekend that a company called Kiki’s is going to be introducing their gluten-free deep dish pizza crust and normal crust into Pizano’s in mid-May…so they’ll be another option on the market! Thanks for the write up on GF options! My son has Celiac Disease, so this is great. He’s visiting Chicago for an audition and I’ll a encourage him to check out Chicago’s Pizza. Hi Doug – You’re more than welcome! 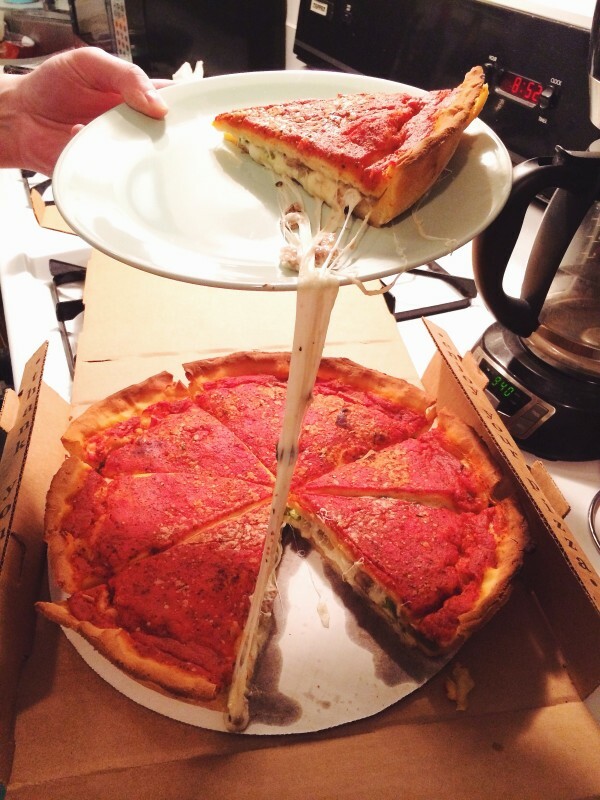 Hope he likes it – it’s so great that they have a GF deep dish option in a city that loves their deep dish!